Follow this link to view the programme of events and to book! 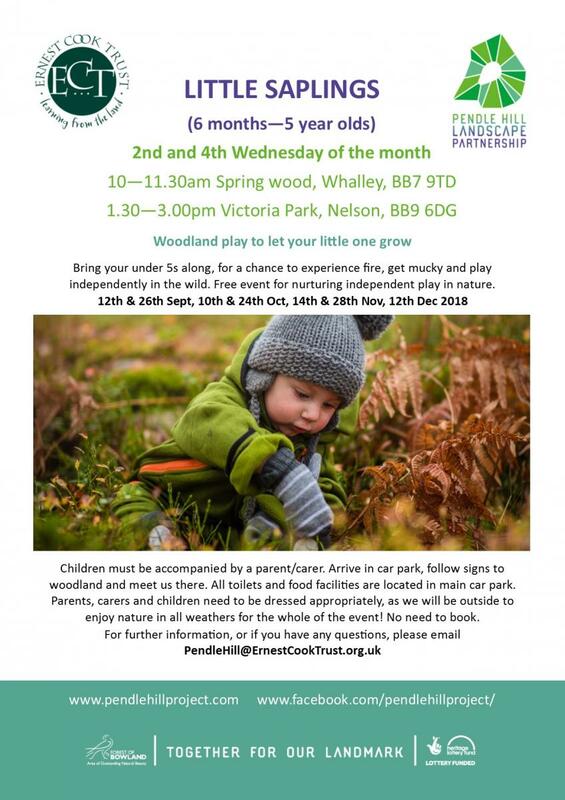 Little Saplings - a bi-monthly (2nd and 4th Wednesday of the month) event for little ones. Come and be inspired by nature and join in with our art and craft activities in the great outdoors! Discover what natural colours are hidden in nature, create unusual sculptures, wild painting and leaf collages. 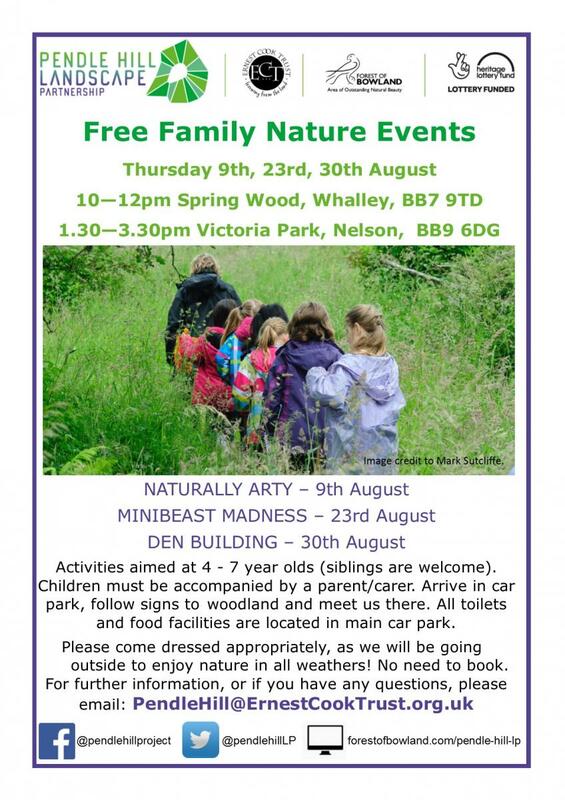 Come and join in with our minibeast fun activities in the great outdoors! Discover what minibeasts live within our woodland and meadow, what they live and how they grow. Play minibeast games, minibeast theatre, crafts, trails and much more. Come and join in with our fun activities in the great outdoors! Make mini insect dens with clay and natural material. Then complete your den building challenges to receive your equipment and tools. In the woodland build dens for humans, mammals and minibeasts. Activities aimed at 4 - 7 year olds (but older and younger siblings are welcome to attend). Children must be accompanied by a parent/carer. Please park in the car park and follow the signs to the woodland to meet us there. All toilets and food facilities are located in main car park. Meet the Pendle Hill Landscape Partnership Team! 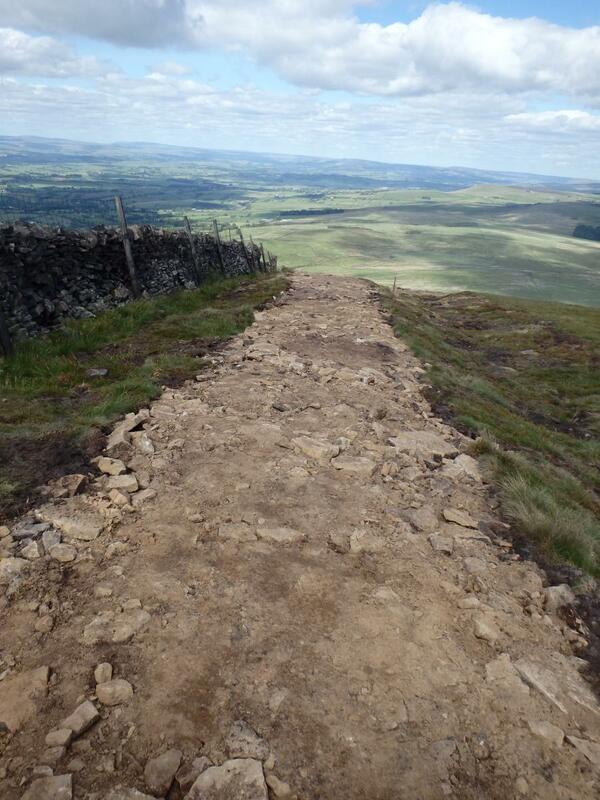 As part of our flagship project, contractors Conservefor have been very busy over the past 2 months carrying out restoration works on the well-used paths up and along the top of the hill. This work is now finished, and re-seeding areas around the new paths has started in attempts to restore the erosion and vegetation. Dry stone walling master craftsman Phil Dolphin has also been very busy building a dry stone wall shelter within the existing boundary wall on the hill and has lead a dry stone walling course for volunteers on another section of the same wall. The Summit Stones are still in development by artist Henrietta Armstrong, and installation will take place later on this year. Please also look out for peat restoration which will begin in the autumn. We would like to thank funders for this work Heritage Lottery Fund, RDPE Leader and the Lancashire Environment Fund. 'Excavations at Malkin Tower Farm, one of the possible sites of the 1612 witches’ Sabbath described by Thomas Potts, have uncovered evidence of two 17th or 18th century buildings in the fields above the current farm. 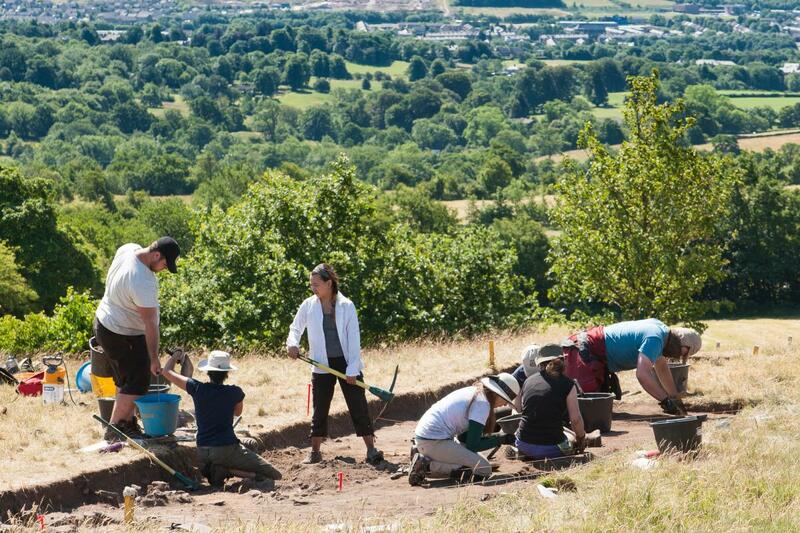 The archaeological project, which was led by Professor Charles Orser of Vanderbilt University in Nashville, brought together an international team of researchers, including students from the US, Canada, UCLan and local volunteers, to help understand the history of this part of Pendle Hill. The site is one of several possible locations which local historian John Clayton and archaeologist Mike Woods have identified as being the place where the Pendle Witches were arrested in 1612. Geophysical Survey by Mike as part of a joint UCLan/PHLP internship last summer showed that there had been a complex of earlier buildings on the pasture to the north of the current Malkin Tower Farm. This summer’s excavations have shown that one of these buildings was a timber-framed structure around 7 metres wide and 15 metres long which ran on an east-west alignment along the contours of the hill. This building was definitely demolished by the early 19th century. However, the part of the building excavated had very few finds, suggesting that this was not a building, or a part of a building, which anyone lived in. We would like to say a big thank you to the landowners at Malkin Tower Farm, Rachel and Andrew Turner (http://www.malkintowerfarm.co.uk/) who allowed the excavation to go ahead, all whilst still running a working farm and holiday cottage business! This was just the start of our Community Archaeology project, and if you would like to stay informed with our other archaeology training events, research opportunities and activities please sign up to our mailing list here. Our volunteers have been busy over the past few months, dealing with the heat whilst starting some path work, removing tree guards and managing the invasive non-native Himalayan balsam. Volunteers have also been busy starting research for the Pendle Radicals project! We would like to say a huge thank you to those who have been out, whether it be with ourselves, the Ribble Rivers Trust (for the Pendle WINNS project) or Mid Pennine Arts (for the Pendle Radicals project). We are happy to announce that we will soon be giving out our volunteer toolkits to all our volunteers. The toolkits include a volunteer registration form, agreement and all our policies – we require you to have a copy of this toolkit and sign a volunteer agreement if you want to volunteer with us on any task. We will be holding a session early October for you to come along and pick up your toolkit, or we will also have them with us on all task days. Get involved in outdoor, conservation based tasks such as woodland management, path repairs, boundary surveys etc. No commitment – just come along to which ever tasks you want to get involved with and have fun! People Enjoying Nature or PEN is an outreach project which offers supported activity sessions in the PHLP landscape to individuals who may be suffering from mental health issues and/or social isolation. PEN volunteers will help deliver the activities and sessions, which are led by the Community Engagement Officer or external facilitators. The PEN sessions, usually run on Thursday afternoons for about 3 hours, take place in three six week periods between March and October, and 4 standalone sessions between November and February. Responsible for assisting the outdoor learning officer in the delivery of environmental education programmes and activity in the Pendle Hill Landscape Partnership area. Will also be expected to support the Outdoor Learning Officer in admin, resource creation and session promotion. DBS check will be required to be carried out, free of charge. 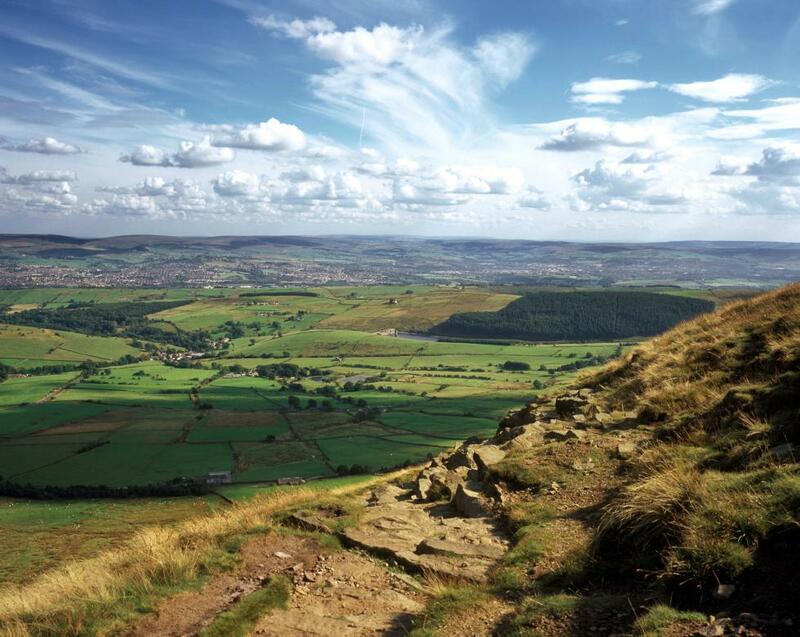 Responsible for assisting the delivery of nature and heritage events and activities within the Pendle Hill LP area for adults, children and families. Promoted route volunteers will be expected to survey their route once every 6 months and report on any major issues to the Countryside Access Officer. If you would like to talk to us in more details about one or more of the above roles please email volunteer@pendle-hill-lp.co.uk or give us a ring on 01200 420420. Meet you at the top… Save the Date! 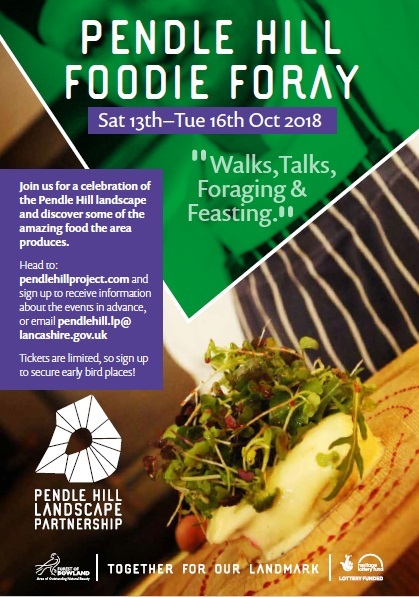 You are invited to the Pendle Hill Landscape Partnership's launch event! Save the date…. Saturday 6th October and more details will be confirmed nearer the time. Meet you at the top is the theme, and we would like your help in putting together a reel of photos taken at the summit of the hill. We would love for you to upload your photos – past or present, summit selfies or group shots or favourite shots of our four legged friends! If you have any old photos which aren't in electronic format that you would love to show us please email jayne.ashe@lancashire.gov.uk or call 01200 420420 to discuss further. The landscape partnership will soon be recruiting for a project team. Details will be made available on our Opportunities page where you can also sign up to join the Pendle Hill Volunteers group.